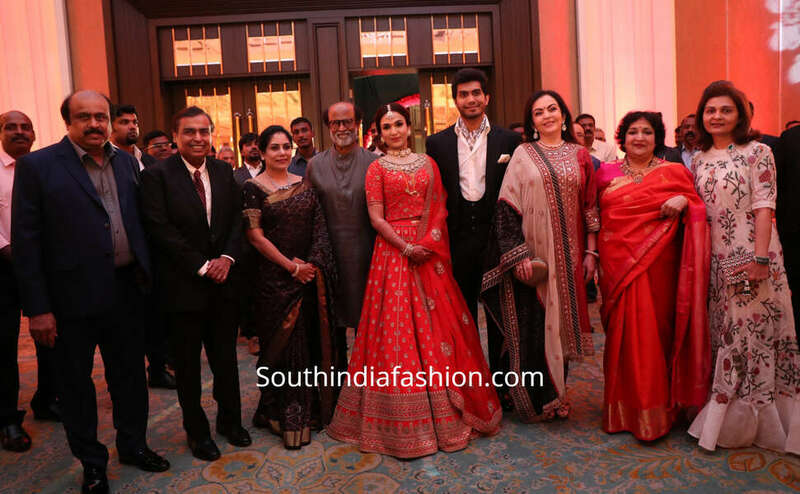 Half Sarees Soundarya Rajinikanth and Vishagan’s Wedding Reception! 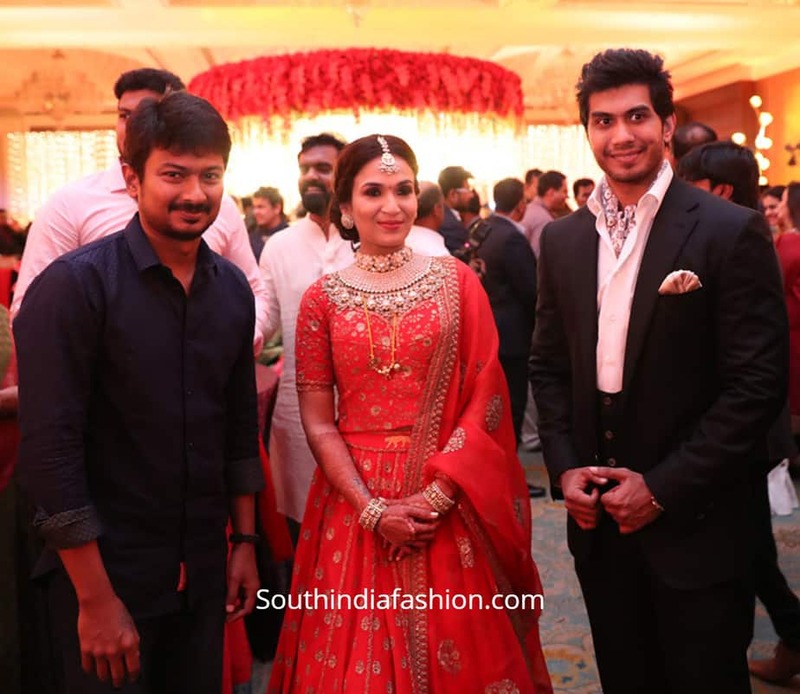 Soundarya Rajinikanth and Vishagan’s Wedding Reception! 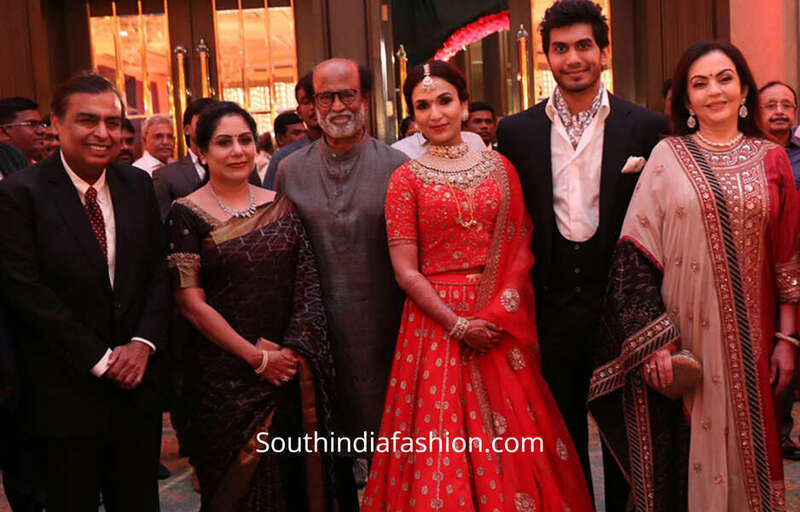 Rajinikanth’s younger daughter Soundarya Rajinikanth and Vishagan Vanangamudi tied the knot on February 11, on Monday. 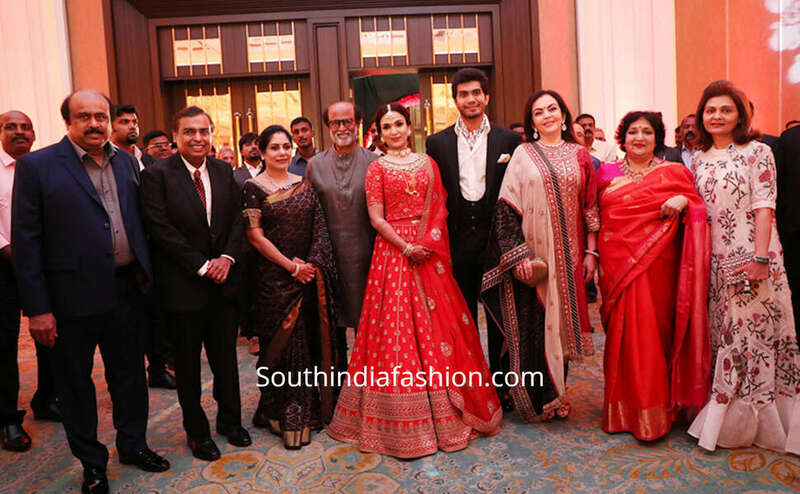 After the grand wedding, the couple hosted a reception in the evening. 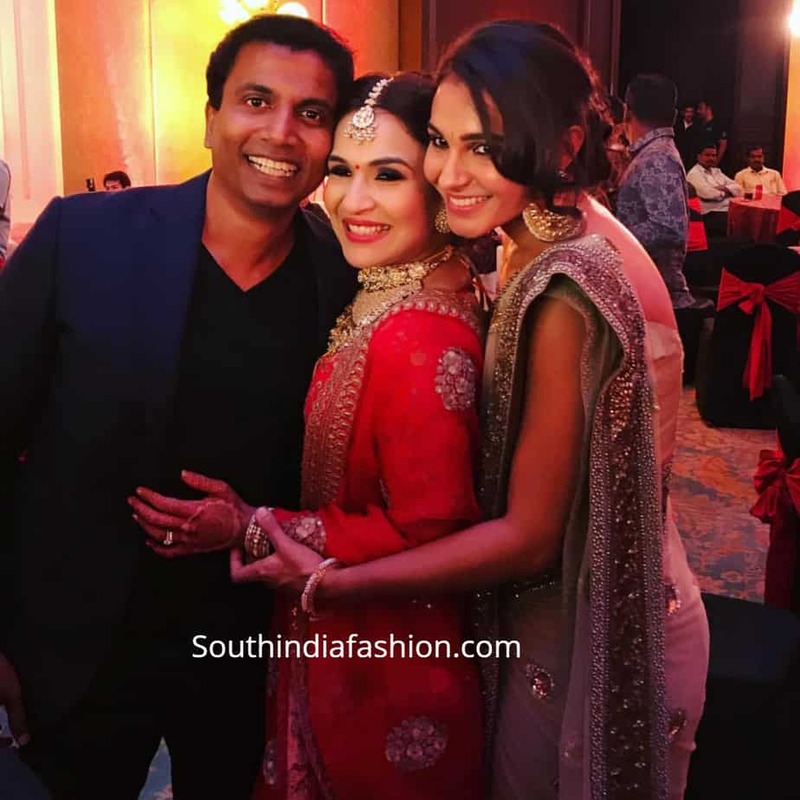 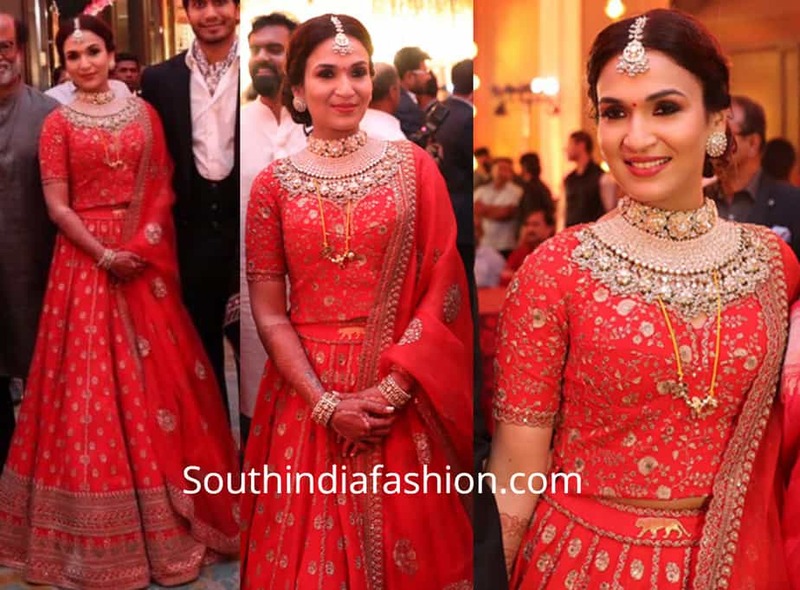 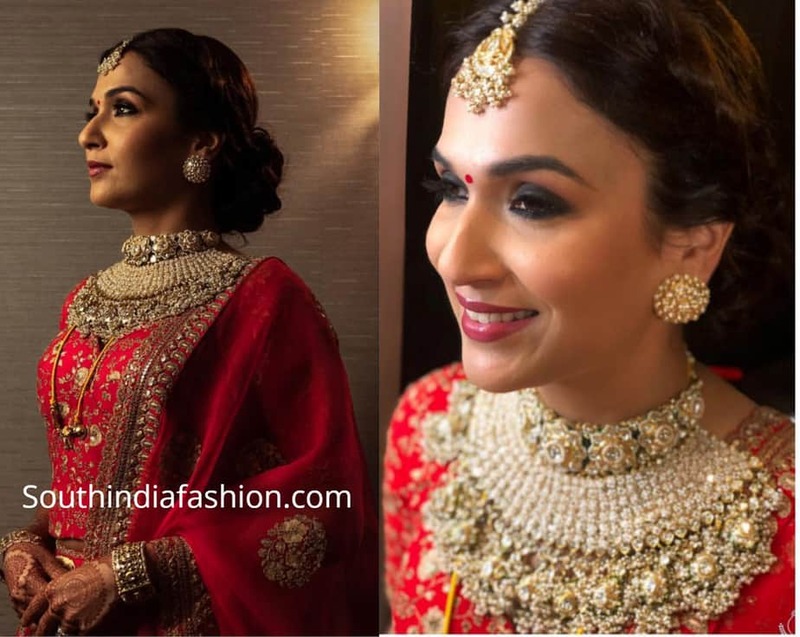 For the event, Soundarya Rajinikanth donned an intricate red Sabyasachi lehenga paired with heavy polki jewellery from Sabyasachi heritage Jewellery. 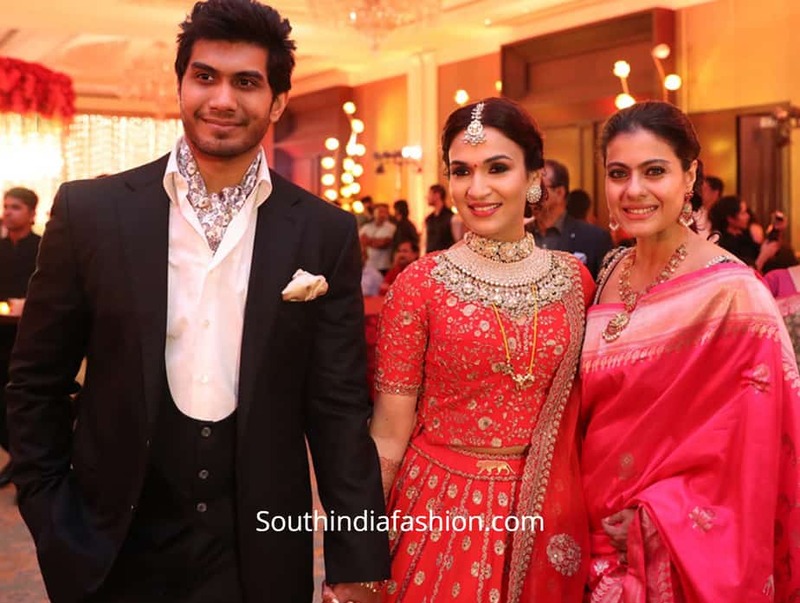 Vishagan looked handsome in a black three piece suit. 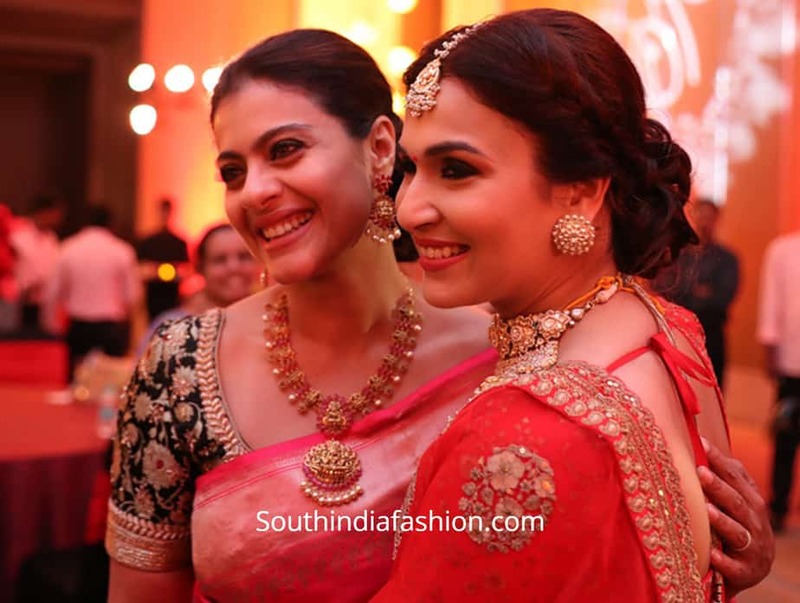 Scroll down for more pictures from their reception..